The best way for me to “visit” our winter vegetable supply is to pop up a trap door in the kitchen floor and climb down a ladder into the root cellar. When our addition is completed, there will be an actual doorway into the corner of the house that stores the roots, but for now the ladder will do. In November, I purchased 150 pounds of root vegetables from King Hill Farm in Penobscot, loaded them into the back of my car, and brought them down here to the island. I sort them into tubs, the largest on the bottom (they’ll keep longer), and the small roots on top. 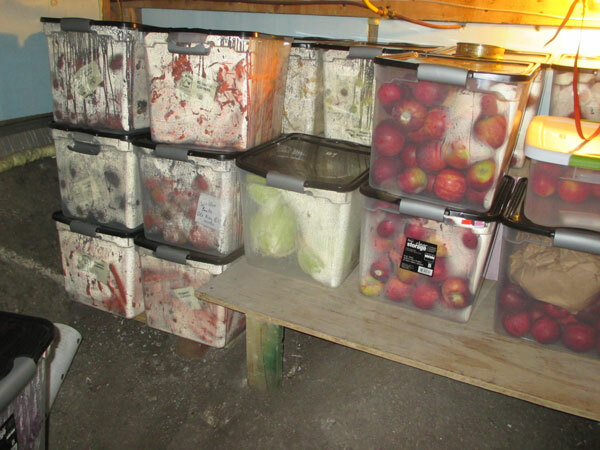 Down into the cellar they go, along with apples; Red Delicious and Tree #8 from Barbour Farm, some heirlooms apples from Five Star Nursery, and two tubs from the gleaners for Dinner is Served. 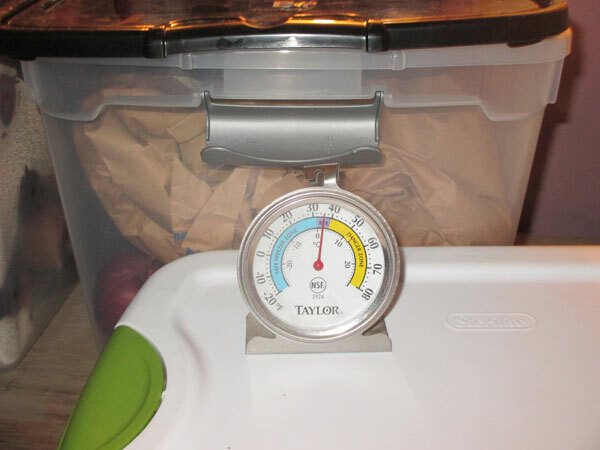 Today the root cellar is a perfect temperature: 34 degrees. It could even be just a bit colder, but not below freezing. Potatoes don’t like that. 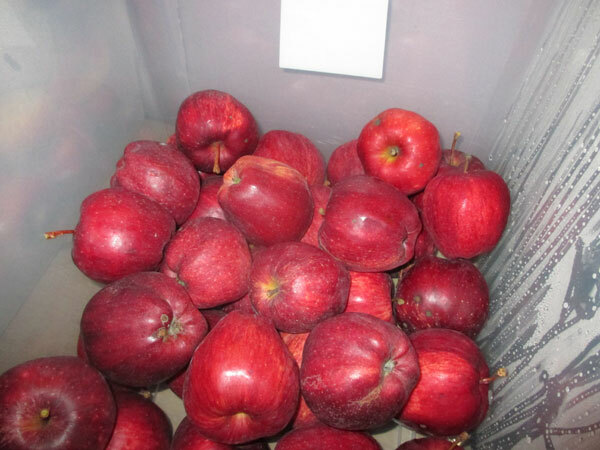 When I open the tub of Red Delicious the cellar is filled with the sweet perfume of apples….I love that smell! The carrots are looking great, I pick out some for supper. 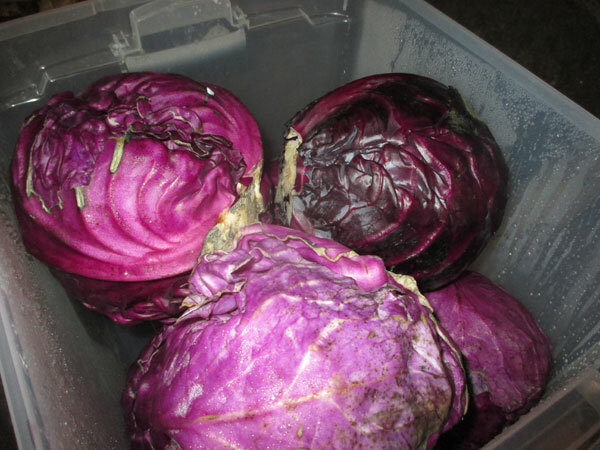 The red cabbage has a section turning black, I’ll bring that cabbage up and make it into a slaw. If this temperature holds for the rest of the winter, we will be eating quite well. 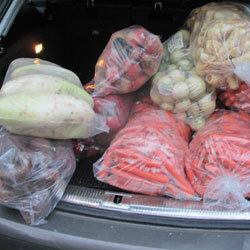 Go Maine food stored in Maine root cellars!